For this show, Beth has made a series of striking and beautiful sculptures of empty shirts and ties. In this body of work, Beth Cullen-Kerridge has wielded the tools of her trade against the enemy, the moneymen. Beth’s artistic career, following her MA from the Royal College of Art has encompassed public commissions, solo exhibitions, work for world renowned artists such as Eduaordo Paolozzi and a seven year tutelage under the great British sculptor, Sir Antony Caro. 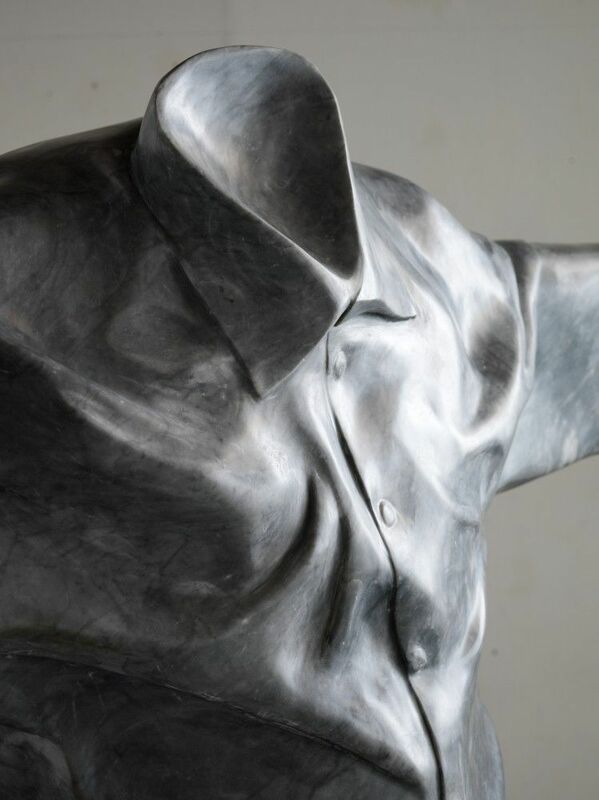 For this show, Beth has made a series of striking and beautiful sculptures of empty shirts and ties. 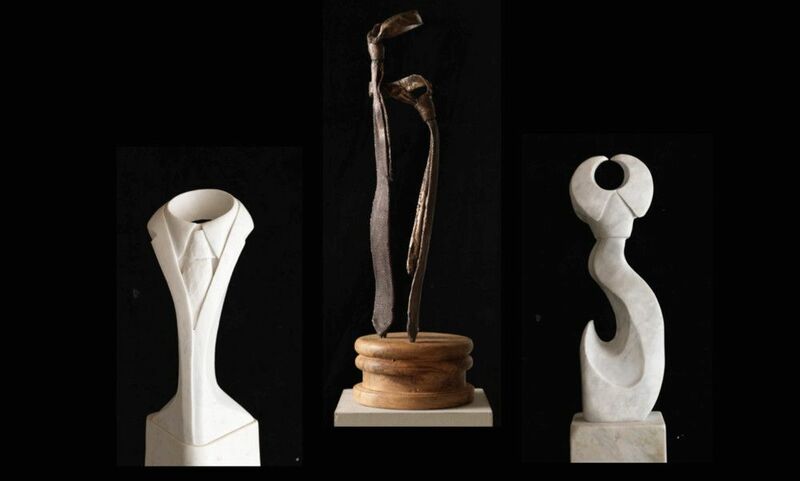 Some of the sculptures are polished marble; some are cast-bronze button-downs with shark fins at the back. All of them are dedicated to the bankers who back in 2007 and 2008 bankrupted the world’s economy.